Taking care of your swimming pool or spa is not a complicated process – but it does need to be done regularly and carefully. There are things you can do and things you should let professionals do. We make certain that your pool or spa is Cleaned and Sanitized by the top standards set forth by Federal as well as local standards while Filtering Equipment is kept tuned and functioning properly. 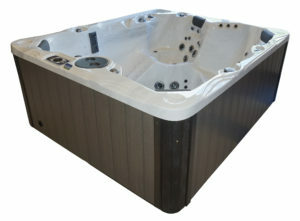 Safety for you and your family, as well as your guests, is of Top Priority to us here at Country Club Pools & Spas. Below is an overview of services we provide that can make living with a pool remarkably stress-free…..as it should be! In our commitment to supply our customers with the most personalized and dependable pool and spa maintanance, Country Club Pools & Spas limits the size of our service department. Most of our clients have been with us for some time and we fill open “slots” in the begining of each year. Please contact the office with any service related requests. 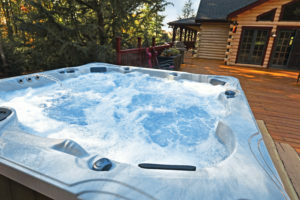 As an authorized service center for Dimension One spas, Freeflow Spas, Jacuzzi, PDC Spas, Coleman spas, and many others, we have the experience and expertise to handle all your spa repair needs. Put your investment back to work for you today! If you have a problem or concern with your spa, regardless of brand, make, or model, call Country Club Pools & Spas and schedule an appointment. With over 33 years of experience, we can take care of practically anything. Is your pool or spa suffering from age or neglect? Are you embarressed to host pool side events? The pro’s at Country Club Pools & Spas can help! Restoration can cover any aspect: Replacing your old liner or replacing those old fiberglass steps with vinyl lined steps. Perhaps your interested in, installing an automatic pool cover, salt chlorine generators, solar heat, or updating old pool lights with the latest styles. Safety concerns are also of importance when considering updating your pool and/or spa. All Restoration projects are unique and we handle each pool individually to guarantee owner satisfaction. We want you to get the most out of your time spent pool-side and we work tirelessly to make your dreams a reality! In essence, its a complete makeover. We take your pool down to the walls and start over. Call today and together we can breathe life back into your backyard! Available Evenings and Sundays by Appointment. Off-Season Hours Vary. Please Contact Us for Availability. Country Club Pools and Spas © 2019. All Rights Reserved.